While Londoner’s and other residents of the South East are more than used to getting the short end of the stick when it comes to the price of everyday items like groceries and alcohol, they might be surprised to learn that those in the north often enjoy savings on the cost of second hand cars as well. Shropshire based car dealership JT Hughes have been using AutoTrader to assess the average price of car models in the UK’s northern cities, and comparing them to the price of equivalent second hand cars London. The study looked at the average car price of six of the most popular hatchbacks on the market: Ford Fiesta Zetec, Citroen C1, VW Golf, Peugeot 207, Renault Clio and Vauxhall Astras. These cars were compared according to a very strict set of criteria, including current mileage on the clock, colour, engine size, number of doors, the date since the last MOT took place, and additional extras such as air conditioning, central locking and sound systems. 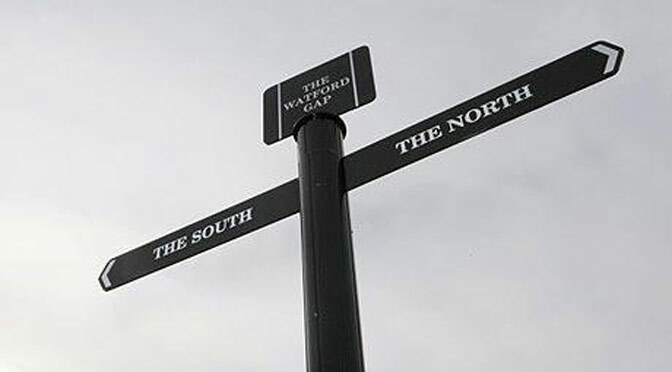 The price difference between the northern cities and the capital was astronomical, with an on-average price difference of £443 (8.49%) between London and Sheffield, and a £239 (4.62%) difference between London and Newcastle. Prices then began to rise again further north, as the scarcity of garages and available cars for sale drove prices back up to London levels. This is great news for those already living north of the southern border, but what about those settled in the smog of the UK’s capital? We checked with National Rail for the average ticket prices from London to the bargain-bountiful north. A one way ticket from London to Sheffield comes in at £74.50 purchased one week in advance, and, for those who prefer forward-planning, £23 booked six weeks beforehand. Even with the more expensive ticket price included, the average saving available for making the pilgrimage up north would be around £368.50, showing that taking your shopping outside of the confines of the south could be a very prudent move – especially for young drivers looking for a first car, or those on a budget. So – not only are house prices cheaper north of the border, but it’s also a more cost effective location for younger drivers wanting to get on the road. Perhaps the next generation of workers will begin to make the money-wise move of relocating to the north, and use those cheap cars to commute to the big smoke for work.